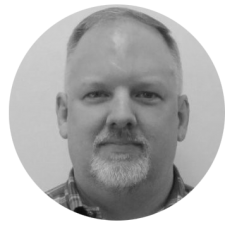 Jeff Dice has 24 years’ experience as a structural engineer and project manager consistently exceeding customer expectations to deliver technically sound, risk managed, best value solutions. Jeff has extensive experience with fixed offshore structures, floating systems (FPSO, TLP, Spar, Semis), buildings, subsea structures, foundations, modules, pipelines, and drilling rig applications. Jeff has provided project management, design assurance, structural analysis and design, permitting, fabrication and refurbishment support, installation management, planning and scheduling, and cost estimation. Jeff spent 19 years with engineering contractors (Mustang, Atlas, Upstream, Hudson/McDermott) before 6 years with an operator. At BP, Jeff provided engineering management and discipline leadership across all project phases in concept development and brownfield topsides roles as project technical authority and engineering team lead. Jeff combines operator and contractor perspectives with decisive, analytical talents and approachable communication skills to positively impact group culture, provide visionary leadership and manage achievement.